Animal Wildlife | Millipede | The millipede is a medium to large sized invertebrate that is found under rocks and in decaying logs all around the world. 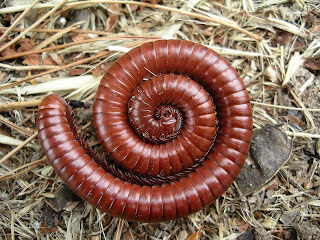 The millipede has a long and narrow body which is made up of segments. The millipede is from the same family as the centipede, but the millipede generally has more legs for it's body length than the centipede. 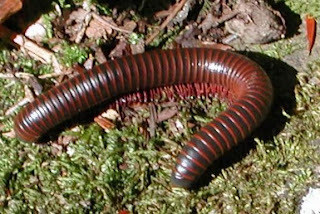 The average millipede has between 80 and 400 legs, not a thousand as the name suggests. 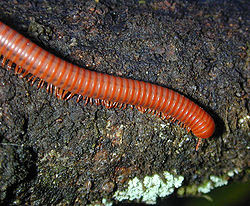 The millipede is found all over the world but is more common in the southern hemisphere where the millipede has been known to get to nearly 40cm long. Some species of millipede have a poisonous bite which they use to kill their prey before eating it. 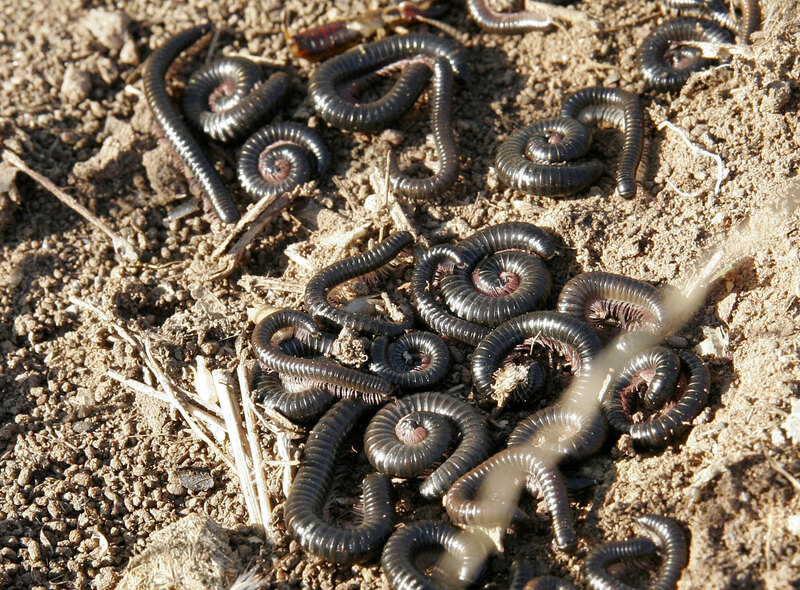 Millipedes are most commonly found in the cooler, damper and darker places within their environment. Millipedes inhabit areas under rocks, in the leaf litter, in rotting logs and occasionally in burrows which are all known as micro-habitats. 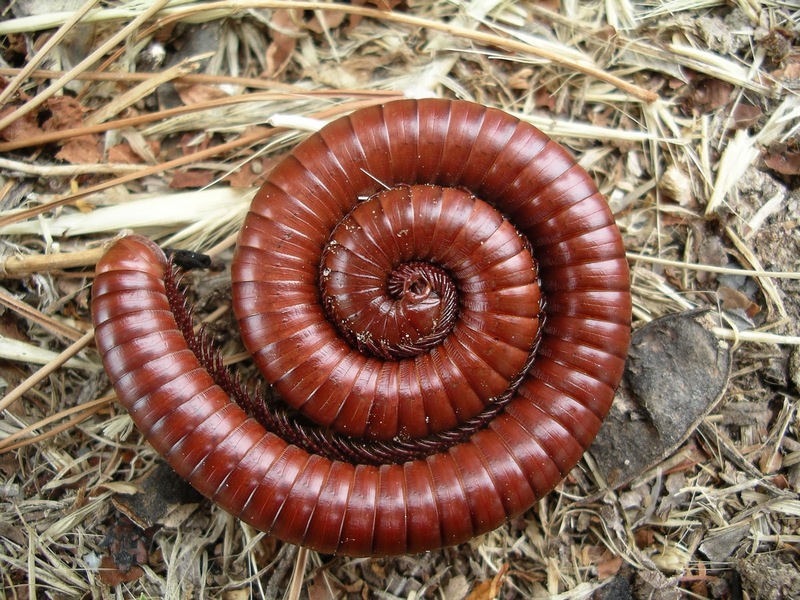 The exact number of legs and segments that make up the body of the millipede, depend on the millipede species. However, all millipedes are made up in a similar way with the first sections of the millipede's body having one pair of legs and the later sections of two pairs of legs. The legs of millipede all work together and move in a wave-like motion. 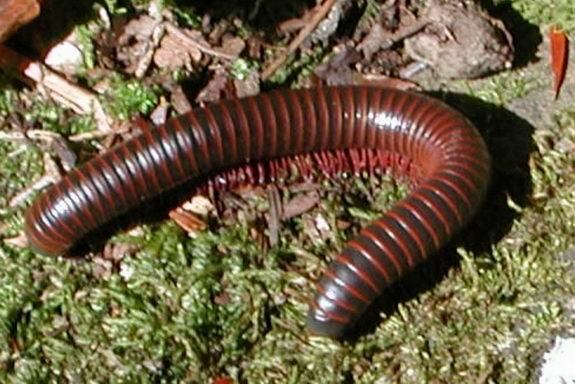 The millipede is an omnivorous animal but primarily feeds on dead plant material and decaying matter on the forest floor. Millipedes are also known to eat some species of plants (that are alive0) and the larger species of millipede also hunt insects. The millipede has a number of different predators in it's natural environment including birds, badgers, foxes and small rodents such as shrews and rats. When the millipede feels that it is in danger it curls up into a spiral and some species of millipede even release a disgusting smelling liquid that deters many of the animals that prey on the millipede. The female millipede can lay up to 1,000 sticky eggs at once although the number of millipede eggs laid is usually closer to 500. When the baby millipedes hatch they only have 3 pairs of legs but they shed their skin as they grow. Each time the baby millipedes shed their skin they develop more body segments and legs.